at the AERO Expo in Friedrichshafen! April 2019 saw the return of the dedicated Flight Simulator Area at the AERO Friedrichsafen, focusing purely on flight simulation. The Flight Simulator Area is the highlight for flight simulation in Europe. Interesting presentations, international exhibitors and lots of developers on site are the centerpiece of this biggest annual meeting of the European flightsim scene taking place at the AERO – Europe's largest General Aviation expo. Experts and those interested in flight simulation alike will have a chance to exchange views on the latest news in the world of simulation. Exhibitors will present brand new products, projects, their company and communities at numerous booths. Spend an exciting day with lots of developers and exhibitors from all over the world. We are looking forward to see you there! The AERO Friedrichshafen 2019 takes place from Wednesday, April 10 to Saturday, April 13, 2018, in Friedrichshafen near Lake Constance. The exposition is open for both professional visitors and private consumers. Wednesday – Friday 9 a.m. – 6 p.m.
For ticket prices incl. discounts and for purchasing tickets online, please visit the official AERO website. Located in a central spot to the North of Lake Constance, you can easily reach Friedrichshafen from all directions. For more detailed route descriptions for various means of transportation, please visit the official AERO website. 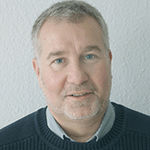 Winfried Diekmann is founder and CEO of the Aerosoft GmbH. He is well known and respected in the simulation industry due to his extensive engagement in various committees and associations. Born in Berlin and always passionate about planes and rockets. After working in the printing, computer and aviation industry finally editor of the magazine FliegerRevue. His special interest is the German aerospace history. 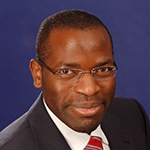 Dr. Danyck Nguewo studied aeronautical engineering in Kiev, Ukraine and earned his doctorate at the Technical University of Stuttgart. 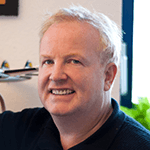 He worked for Diamond Aircraft Industries GmbH for almost 10 years. Since February 2016 he is self-employed and the owner of Nyaben Flight Dynamics. Since 2009 he is an external lecturer for Flight Mechanics at the University of Applied Sciences in Hamburg. 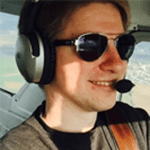 Philipp Ringler is a flight instructor on sunny days and a software developer on rainy days. Since 1993 he works in the virtual skies, with the real sky following in 2013. From the Aviat Husky to the Piper Seneca he flies everything with a propeller. As a software developer he was involved in the creation of various X-Plane 10 add-ons like the CRJ-200 and the FlightFactor 777 and 757. Currently he’s working on the flight simulator X-Plane 11 as part of Laminar Research. 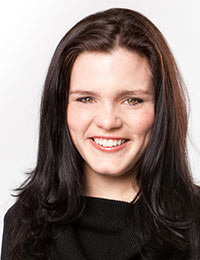 Fabi Riesen, co-founder and inventor of VRMotion. Simulator building experience since 1998. Lives in Switzerland. 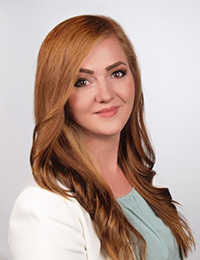 Nicki Repenning is the Founder and CEO of Honeycomb Aeronautical. 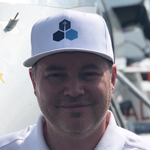 He holds a Private Pilot License and has more than 10 years of experience in the flight simulation industry. 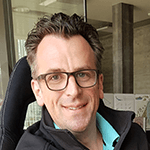 He is the former head of Saitek Pro Flight in North America and has been a driving force in developing new and innovative flight sim hardware to the industry.